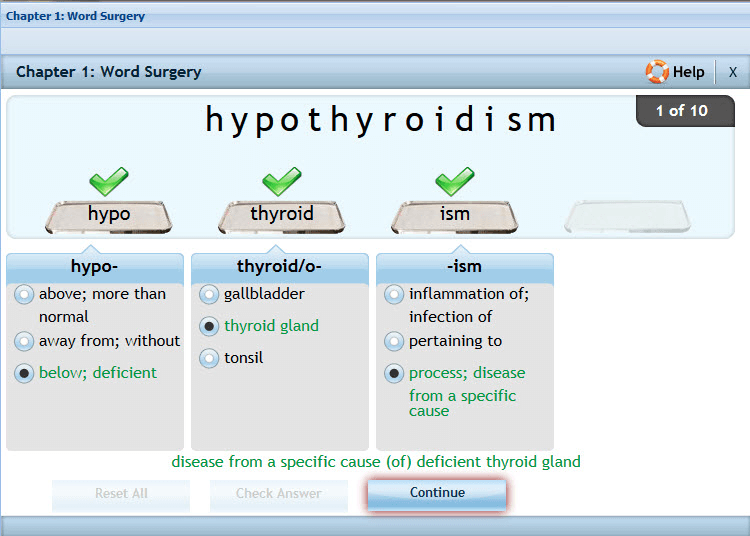 See how MyLab Medical Terminology helps students master key concepts and improve results. Students interact with Speak & Spell in various ways — from viewing an associated image and hearing the pronunciation, to recording and playing back their own pronunciation. They can repeat these exercises as many times as they'd like. Students learn better when they’re engaged. 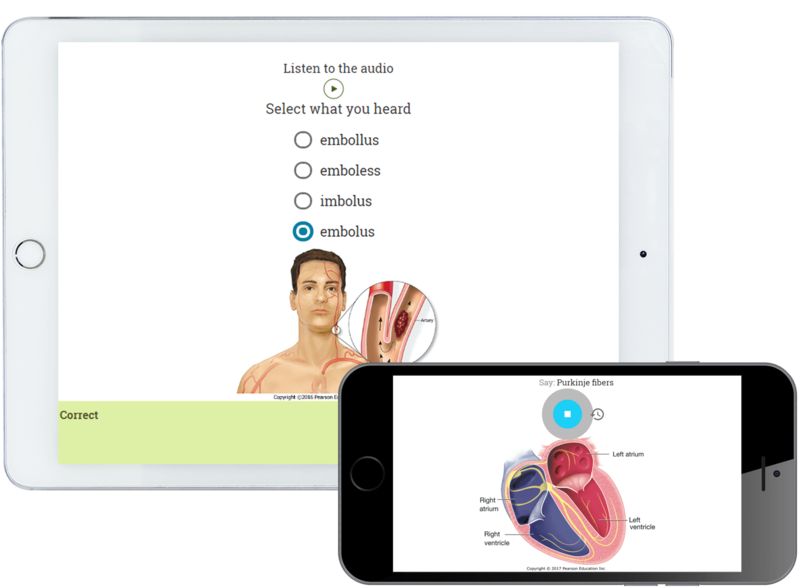 Each chapter of MyLab Medical Terminology includes a variety of interactive games focused on word-building, spelling, pronunciation, and anatomy & physiology. Students and instructors alike report that these games increase students’ mastery of medical language. Add an exceptional lecture component to your course. With our title-specific Guided Lectures, students can prepare for class, review material after class, and practice pronouncing medical terms. You can now link from Blackboard Learn, Brightspace by D2L, Canvas, or Moodle to MyLab Medical Terminology. Access assignments, rosters, and resources, and synchronize grades with your LMS gradebook. View, analyze, and report learning outcomes clearly and easily, and get the information you need to keep your students on track throughout the course, with the new Reporting Dashboard. Available via the Gradebook and fully mobile-ready, the Reporting Dashboard presents student performance data at the class, section, and program levels in an accessible, visual manner.